This solid aluminum cube was designed by Josh Owen. 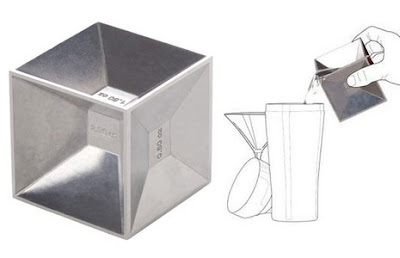 To quote the designer, "The design of the aluminum cube jigger evolved from an experiment to compress the six most common liquid measures used to mix alcoholic drinks, into the smallest possible dispenser. Well, at least it looks great !